Zokei Bonsai Supplies are FREE!! 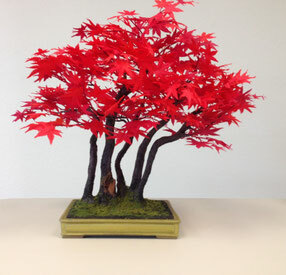 Our Zokei Bonsai Class is taught by Setsuko Evans. All of the materials are included with this class. Setsuko Evans founded Setsuko's School of Floral Design, Silk Flower and Zokei Bonsai Arrangement in 1970 in Tokyo, Japan. Setsuko moved to America in 1982 and established Setsuko's School of Floral Design, Silk Flower and Zokei Bonsai Arrangement. Setsuko Evans uses silk, organdy, paper, paint and other materials to create Zokei Bonsai in true imitation of the living nature in trees and flowers, like three dimensional paintings. A craft which grew out of principles of Western artificial flower making, it has assumed a new direction in Japan. Setsuko Evans has taught Zokei Bonsai in many states of the United States as well as Germany, Italy, and Japan. She is a certified member of the Nippon Flower Gigei Association, and is one of only two Master Instructors teaching this Art Form outside of Japan. 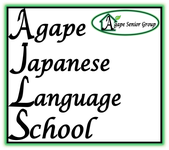 To learn more about our instructor Setsuko Evans click HERE.